To leap above the mud that is man. There was an article in the New York Times yesterday, written by a parishioner of a Catholic parish in Atlanta. Last Sunday he received national media attention when he stood up in the middle of the homily, as the priest was speaking about the sexual abuse report from Pennsylvania, saying that the Church had to change. The parishioner shouted out, “How?” and then proceeded to have a dialogue with the priest about the scandal, with all the rest of the congregation listening and watching the drama. I can imagine that it must have been a pretty riveting moment for everyone there. In his article, the man says that Catholics should not keep on filling the pews every Sunday, that it is wrong to support the church. He even suggests that you should all demand that every ordained member of the Catholic Church resign, including the pope. I’m sure that the awful stories of the Pennsylvania report, along with other reports about Cardinal McCarrick, will indeed be the tipping point for a number of people to abandon the Church that they have been struggling to remain in. This weekend Pope Francis is facing a whole nation of people who raised in the Church in Ireland, where weekly Mass attendance has plummeted from 90% not so long ago, to 30% today. How do you stay committed to something that seems so corrupted, how do you stay committed to something that has hurt you so deeply? We have readings that speak to our commitment to God, and God's rock-solid support and love to us. Joshua challenges the people of Israel not make new alliances and abandon the God who has done so much for them. In the always-challenging second reading, St. Paul challenges the Ephesian church to remain as faithful to the church as husbands and wives should be faithful to one another. And in the gospel, Jesus challenges his followers to stay with him till the end—until death, really—through bad times as well as good. Commitment is something that is often hard to come by these days. When I work with couples on their upcoming marriage plans, I always try to remind them that their commitment is already statistically under attack, with a 50% survival rate. I ask them if they would stay on a plane that is about to take off if the pilot were to announce that they have a 50-50 chance of crashing and burning. When I entered the Jesuits many years ago, my parents were not very enthused. They asked me why I would want to join a group and commit myself to an institution where so many people were already jumping ship. They had a good point. Consider the odds, and the reasons behind them. Why would you be so crazy to make such a commitment to something that on the surface seems so likely to fail? I am reminded of a wonderful book about St Francis by Nikos Kazantzakis. Kazantzakis was the writer of Zorba the Greek and The Last Temptation of Christ. There is a scene in the book where St Francis turns to his loyal companion Brother Leo, and tells him it is time ‘to leap”. Leo doesn’t understand what Francis is talking about. To leap into the abyss, to leap without hesitation to follow the will of God, ‘to leap’, he says, “above the mud that is man”. 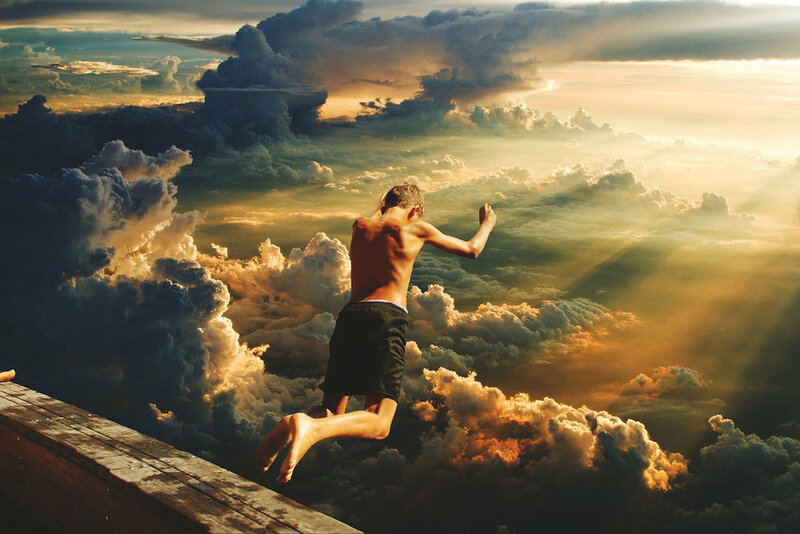 To leap above the mud that is man, against the statistics and the reality of our sinful natures, to leap to follow the will of God, even within a corrupt and sinful church, or within a marriage that needs a good housecleaning. Divorce can be an easy option, and maybe sometimes it is the only one, but aren’t we all called to follow the heart of Jesus through the fire that is sometimes burning all around us? To leap into the abyss? To leap above the mud that is man? Are you crazy? Jesus turns to his friends and asks them if they will leap with him and Peter says, 'Lord, where else, what else can we do? You have the words of eternal life.' "
On Friday, I took a long walk up Broadway to Columbia Presbyterian Hospital to visit a young man I know who is being treated for a challenging illness. As I was walking, I thought about my own commitments---or lack thereof. On a day to day basis, it’s not always easy to hang in there, roll with it over the long run. I spent a few hours at the hospital with this beautiful young man, and I thought about all the thousands of hours his good parents have devoted to him, one of the two treasures of their life. And I know, given his illness, that they will be committed to him in even more challenging ways for years to come. There is something so beautiful in such a commitment, isn’t there, the commitment that authentic love always produces. There is a profound freedom in such loving commitment. The world we live in doesn’t really encourage us to stick with another day, to roll with it over and over again, to regularly leap above the mud that is man. What do you get for following someone till the bitter end? Where is the reward for being faithful? Sometimes it just doesn’t seem worth it, right? And then those words from Kazanzakis. When you leap into the will of God, “What do you have to fear? Nothing. Whom do you have to fear? No one. Why? Because whoever has joined forces with God obtains three great privileges: omnipotence without power, intoxication without wine, and life without death.” What more could you want? Jesus’s friend Peter could commit because he knew something very important, something that we need to know as well: in our heart of hearts we are children with a name etched upon that heart, from the very beginning to the very end. That name---your name and mine is Beloved, a name breathed upon us by the One who rules and loves everything everywhere. Look, my beloveds, my brothers and sisters, at our Jesus on the cross. Look upon that act of love, and think about what you wish to choose for yourself here today. Think about your family, your wife, your husband, your brother, your sister, your children, your parents, your friends. Think seriously about this broken Church. What is your commitment? Can you leap for them, and with them, with us? Jesus asks you and me to make a choice: to stay with him for another day, or to leave? To follow him, or go your own way. Which do you choose?